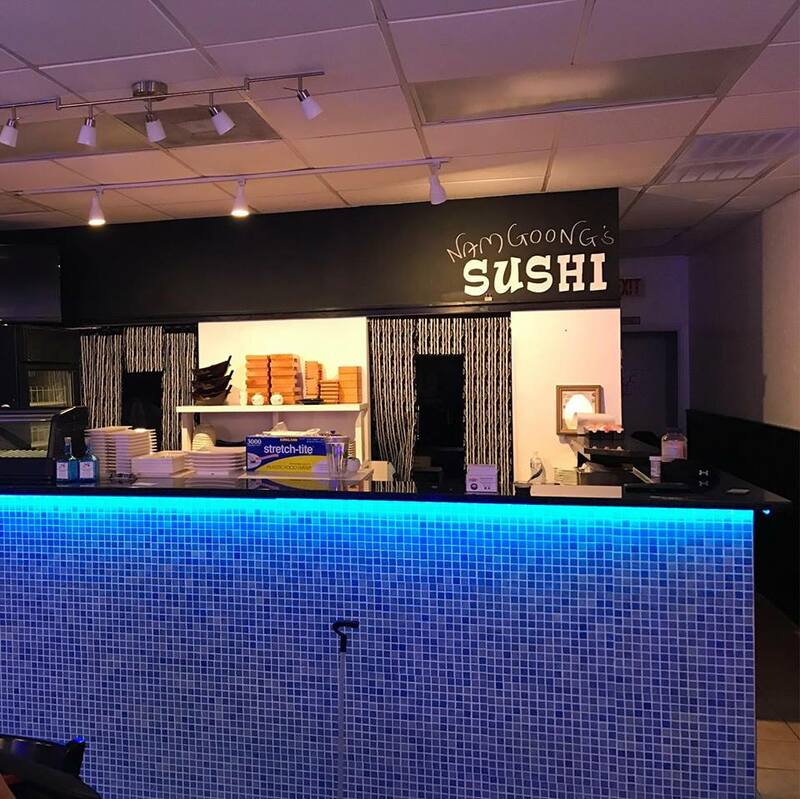 I think that all of us “locals” come to Sarasota for the sun and the sand, which are amazing, but for me, one element that continues to fuel my love affair with Sarasota are all of the ethnic restaurants that the area has to offer, and each year, there seem to be more and more. Being a kid, growing up in a town of around 5,000 people in the mountains of Colorado, it is easy to imagine that our primarily caucasian customer base couldn’t support anything much more exotic than Chinese or Italian eateries (although last Summer when I was home, I did see a Nepalese restaurant in Montrose, Colorado…thank God that void was filled with the masses yearning for that cuisine on a regular basis. Fortunately, my Dad traveled a lot to large cities, my Mom was a huge foodie and they took me along. When I was 18 and moved to New York, and literally every cuisine was a short walk away, I was truly in heaven. I guess that is the way I see Sarasota heading, and it makes me very happy. Without getting too political, I’ll just say that I value the customs and cultures that people from all over the world bring to our country. I love my Northern European heritage, and couldn’t be more proud of who I am, but that being said, I’d feel as though I were missing out if I had not had the opportunities in my life to experience so many other wonderful cultures. Today, like so many days in Sarasota was sunny, and looking for a good excuse to take my scooter out for a ride, and discover a new restaurant was certainly not far away! A friend of mine on Facebook mentioned a new Korean restaurant up on 301, so I decided to give it a try. It was a small place…probably about 40 seats, with a simple, yet pleasing atmosphere. In addition to serving Korean favorites, they also make sushi. They offer a lunch menu, with very inexpensive pricing, and a bountiful selection. My meal came with a bowl of Miso Soup, which made me so happy. 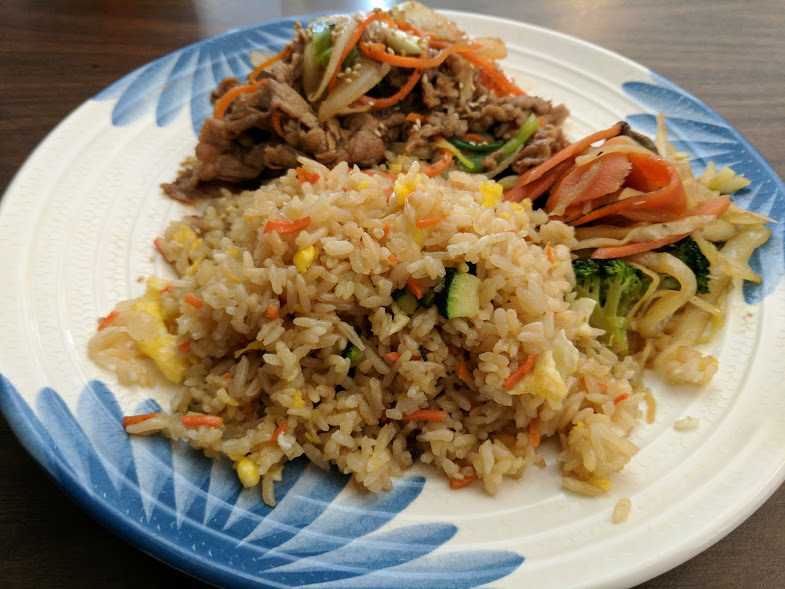 Making a decision was tough because it all looked good, but I settled on one of my Korean favorites, Beef Bulgogi which came with Fried Rice and some Stir-Fried Vegetables. Beef Bulgogi is thinly sliced beef, that is quickly seared, and served with a sauce that is a bit sweet and salty. It is easy to see why Korean food is quickly emerging as a popular cuisine here in The United States. The flavors and textures, although foreign are easy for the American pallet to adapt to, and the food certainly creates a craving! I can’t figure out why Kim Jong-un is such an angry little fella…heck if I had access to food like this every day, I’d be one of the happiest evil dictators on the planet! You’d think the food in North Korea would be very similar, but if not, send a dignitary to South Korea, build a trebuchet, and launch yummy food over the border a couple times a day. You can’t tell me that he hasn’t thought of this…that’s my plan when Trump builds the wall between the US and Mexico…heck, taquitos, burritos and a lot of other Mexican foods are already shaped kind of like missiles…I think that they would make the trip pretty well. In conclusion…I loved this place, and I’ll be back. Give it a try, and let me know what your new menu addiction is!